If you head south of St. Marys on State Route 29, you’ll come to the village of New Knoxville, Ohio. 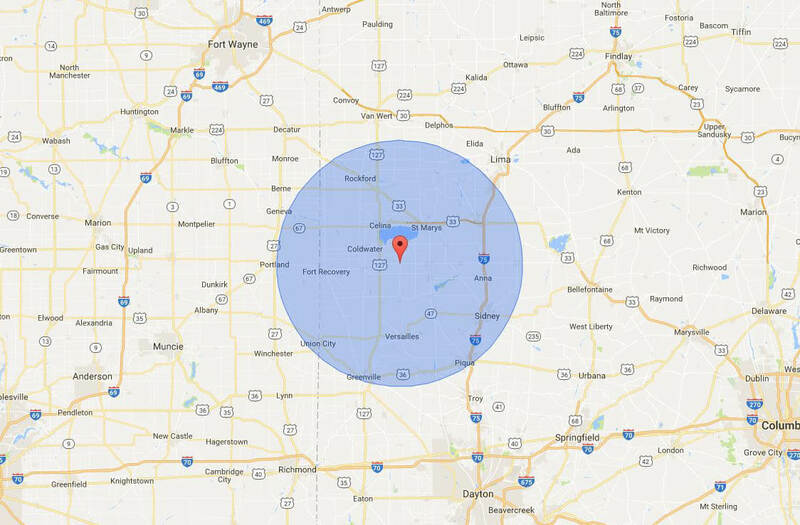 This community of around 900 people in Auglaize County sits halfway between Columbus and Fort Wayne, Indiana. Just outside of New Knoxville is the Neil Armstrong Airport. The famous astronaut grew up nearby, and the airport is now named in his honor. Hoge Lumber is also an important part of the economy in New Knoxville, producing wood for bowling lanes around the world. If you’re visiting New Knoxville, be sure to check out the post office that has stood since 1858, as well as four other heritage buildings. Chickasaw Garage is proud to serve drivers in New Knoxville with dependable vehicle repairs and service. We are a family-owned and operated repair shop that is deeply rooted in our community. Our staff members strive to deliver superior customer service while your vehicle is serviced to the highest standard. You will find Chickasaw Garage just 13 miles southwest of New Knoxville, in the town of Chickasaw.